Backing up QuickBooks data is necessary for everyone wishing his or her data being secured. Although a QuickBooks backup service exists, providing backing up for some storage media, third-party software, like Handy Backup, able to back up QuickBooks along with other data. Scheduling backup precisely, with a possibility of forced run of missed tasks. 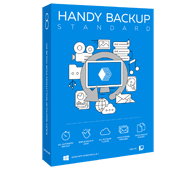 These (and many other) options make Handy Backup one of most powerful business-level backup solution ever existed. QuickBooks backup can be just a part of the big backup strategy, programmed once and then executed automatically without a flaw by Handy Backup. For simple and reliable QuickBooks auto backup, please check Standard edition, or higher. Free 30-days trial version! How to Backup QuickBooks Data Using Handy Backup? Open Handy Backup and create a new task by pressing Ctrl+N or by clicking on the new task button located on the main control panel. On the Step 1, select a backup task. On a Step 2, select the "Computer" option. Click on "Add" or double-click on the "Computer". A new window will appear. Check a folder with a bookmark and press "OK", then "Next" to the next step of task creation. Then select a data storage, set up backup parameters, compress and encrypt your files and do other things you mind to be necessary. 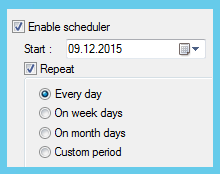 Schedule your QuickBook backup, setting up the period you feel right to renew your reserved data copies, on a Step 6. Finish the task creation by naming your task. That is all to be done to create the QuickBooks data-keeping task with Handy Backup. This task can be started manually or being executed when the scheduled time will occur. Enjoy your QuickBook data security with Handy Backup! Any backup is useless without the effective restoration. 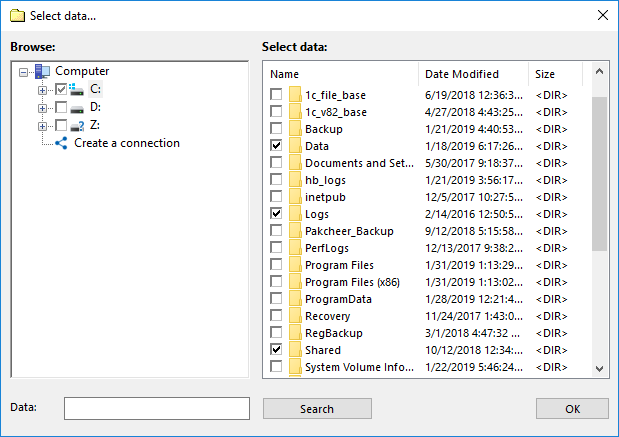 Although Handy Backup saves data by default in native format, allowing manual copying these files from backups to the necessary location or just using these data by the place, it still has an effective restoration procedure. 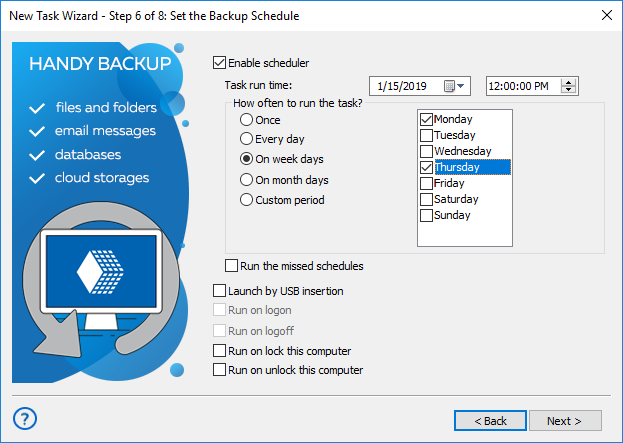 Users can create and manage restoration task with exactly the same operations and interface considerations as when creating backup tasks. 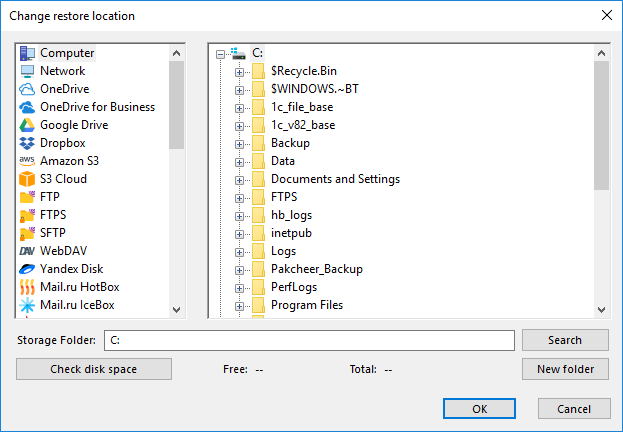 Just select for a restoration task type, then select a QuickBooks backup file as data source and choose the right destination to restore data. "One of my clients is using a Windows 10 Pro Dell computer for file sharing, particularly for QuickBooks, in their office. This purchase was installed on that computer to back up their files to a company Dropbox account twice daily. I will also use the HB Pro to make a disk copy, for easy recover, should it go down. I′ve used HB for years and I love that it saves everything as individual Zip files, making recovery of files the easiest method possible. Therefore, I recommend it to all my clients for data security. I have already installed it on two clients file servers this year. I would also like to say that your support team, particularly Victoriya Ermishina, have been terrific. Thank you for your contact and your terrific product. I will continue to promote it to all of my clients." You have no need to purchase any extra data source options or add-ons to back up QuickBooks data. 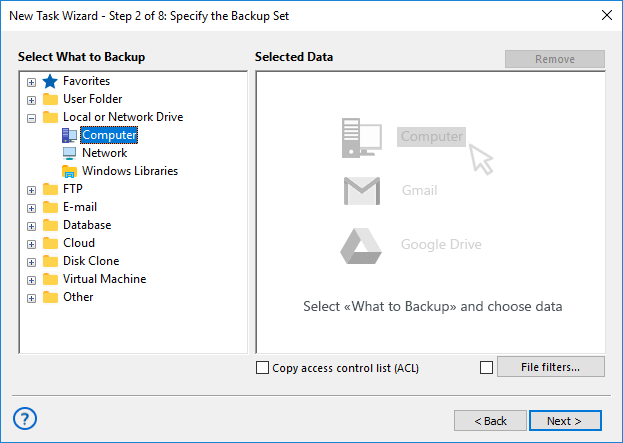 Any edition of Handy Backup can do this operation, when network-level editions can also automatically collect QuickBooks data backup from remote machines plugged to the same LAN. If you want to try QuickBooks backup with Handy Backup instead of using the built-in utility, please download the 30-days free trial edition of Handy Backup from the product-downloading page.